Sharjah is the first Arab city to join the Global Network for Age-friendly Cities and Communities. 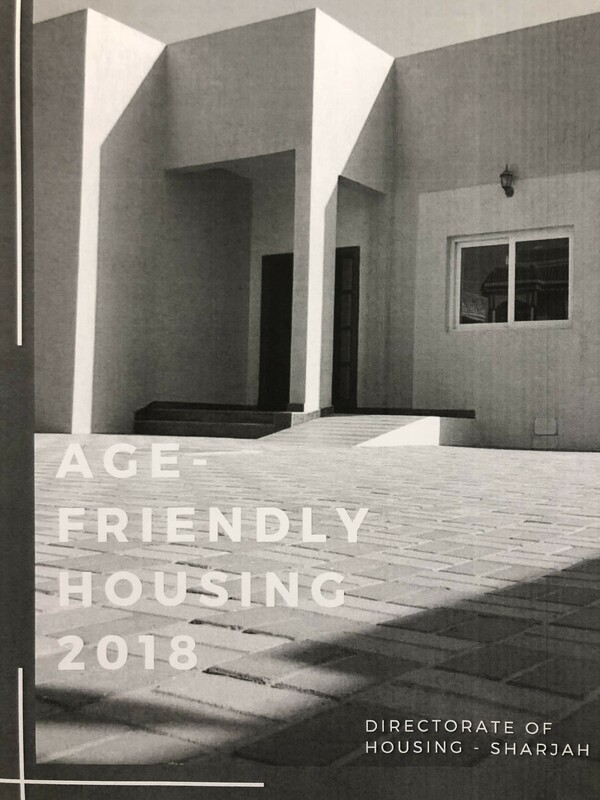 As part of the Sharjah Strategic Plan 2017-2020, the Directorate of Housing (DH) is taking a major role by providing an innovative housing solution for older people. All governmental entities are working hand in hand to transform Sharjah into an age-friendly city. Our role as the Directorate of Housing is to provide housing solutions that will ensure our older citizens are part of the community. The Directorate provided a full grant to cover the costs of housing service, providing three main innovative services. The first service offered is the building of a housing unit on the same land as an older person’s son, daughter or grandchild. This solution enhances family bonds and makes sure that older family members are still active. Moreover, older people will be part of their grandchildren’s upbringing and the valuable heritage of the UAE will pass to the next generation. The second service is building a housing unit on new land that will accommodate older people and their family members. Different housing design options are available to choose from, and these designs are specially tailored to suit the older person’s needs. The Directorate works with the other authorities to provide land that is close to different services and facilities. The third service is providing maintenance to existing houses and modifying existing units to suit older people’s needs. The Directorate delivers maintenance to housing units that are in need of repairs to increase the home’s life span. In this service, the Directorate adds elements that ease movement around the house, for example by adding an elevator and replacing fixtures such as sinks, showers, toilets and wall-mounted hardware. The Directorate also provides urgent maintenance to houses that are affected by natural disaster. How collaboration worked: In our second service, we work with Directorate of Town Planning and Survey to grant a land by making sure that older citizens have access to variety of facilities and services and we work with Social Service Department to provide the necessary Home Care service. We also work as a project manager during the construction period, we manage all parties and we are responsible to ease the process with the Sharjah electricity and water Authority to provide the housing unit with the required services that include gas, electricity and water. Moreover, districts and departments of village affairs established a neighborhood Majlis in different areas around the city. The Majlis are in the center of a neighborhood, built to offer a place for different age groups to meet, have events and hold celebrations. Where Majlis are located is based on the neighborhood's density. 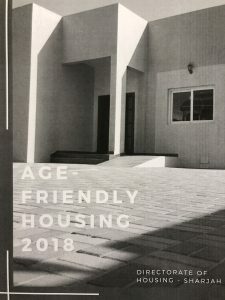 Details on older people's involvement: Older people have the option to choose the preferred design for their housing unit. We have received positive feedback from older people and their families. We documented one of our projects in a video that is uploaded as an additional document. Yes, in the report uploaded in the action plan we are planning to expand by offering our fourth service which is currently being studied. The positive feedback the Directorate of Housing has received has led to the Directorate continuing to offer the same services. A new service is under study to eliminate the issue of not connecting older people with each other. The new service offers new housing units close to each other and connected by gardens. During the construction process for new housing units, some older people lived in poor housing conditions. The Directorate of Housing provided this group with temporary rented houses until the new housing units were fully completed. Rented houses were chosen with good locations and with services and hospitals nearby.